We know how beautiful Ladakh is. Its lakes, mountains, valleys, passes, monasteries and culture, everything possesses a magical touch, it seems. There are many ways of experiencing the beauty of Ladakh, but when it comes to coming close to nature, none can beat trekking. Trekking in Ladakh is adventure at its best. You come across rare sights which you wouldn’t otherwise. A thousand thoughts flood your mind as you walk past marvelous sights and think to yourself – the glories of Mother Nature are indeed infinite! However, before you go trekking, you should know what the most popular treks in Ladakh are and what do each of them have to offer. This way, you can decide for yourself which treks you want to undertake. Before undertaking any trekking expedition in Ladakh, it’s very important to know the best time for trekking, the best season and other such information which makes your trekking tour a success. You will find all that in this trekking in Ladakh travel guide. Read on to know more! I am sure you are curious to know what the most popular treks in Ladakh are. Well, here it is! 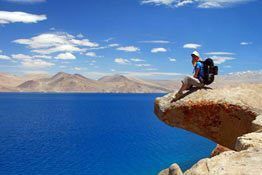 Below I will tell you the most popular treks of Ladakh that give you the best of adventure and sightseeing. You think you know what beautiful is? Wait till you undertake one of these treks. With the plummeting of temperatures during winters, the Zanskar River turns into a sheet of snow. This is when the famous Chadar Trek is undertaken. One of the most popular treks in Ladakh, it takes you to a world of icy wonders. At times, you will also have the feeling of sliding over icy ground. Be careful though, the trek can get quite challenging at times! What the Chadar Trek will leave you with are lovely memories and an appreciation of nature. You think you are tough enough? Try the Stok Kangri Trek. The Stok Kangri Trek is one of the most challenging treks in Ladakh. During the course of the trek, you come across various sceneries, each of which show a different picture of Ladakh’s beauty. You are also treated to spectacular views of Zanskar and Indus Valley during the course of the trek. It should be noted though, that this trek is certainly not for the faint of heart due to its incredible altitude and difficulty. Prepare yourself both physically and mentally before setting off. Once you reach the summit though, you can enjoy breathtaking views of K2, or Mt. Godwen-Austen. Snow Leopard Trek is one of the best treks in Ladakh because not only does it give you plenty of adventure, but also lets you admire its fascinating wildlife. Snow Leopard Trek covers the Hemis National Park, which stretches to almost 600sq. km in the valleys of Markha and Rumbak. 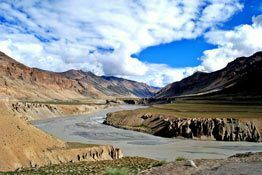 While the other treks show you the natural beauty of Ladakh, this trek gives you the chance of spotting rare and endangered species that live exclusively in the cold desert. Some of these are ibex, snow leopard, Ladakhi Urial, marmot, Tibetan Hare and antelope, besides others. 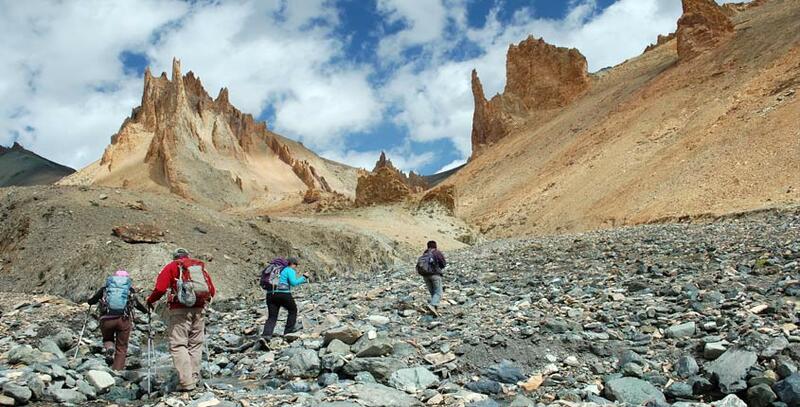 Markha Valley Trek is one of the best treks for beginners in Ladakh. It’s also known as the “tea-house trek” because the trekker can expect accommodations in parachute tents at the villages along the way. It’s just the right trek for you if you are new to trekking. During the course of this trek, the spectacular beauty of Ladakh greets your eyes. The highlight of this trek is the Kongmaru La Pass, an incredibly scenic place located at an altitude of almost 5,000m. Besides this, you are treated to the gorgeous views of the Ladakh and Zanskar Ranges, Kang Yatze and Stok Kangri peaks. The reason you should go for the Lamayuru to Chilling Trek is that if offers a little bit of everything that Ladakh is famous for. Opting for this trek lets you enjoy not only the spectacular natural beauty of Ladakh but also get a glimpse of its spiritual and cultural side through the monasteries, villages and the locals whom you meet along the way. 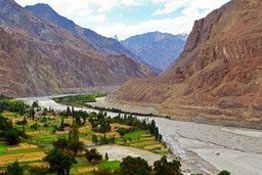 The Lamayuru to Chilling Trek also offers you the magnificent views of the Stok and Karakoram ranges as well as the Dungdung Chan La, Prinkti La and Kongskil La Passes. The best part about this trek is that anyone can go for it without requiring any experience in trekking. Want to give your trip to Kashmir a personal touch? Set off for the Kashmir Great Lakes Trek. The trek takes you past the sights that have always dreamt of visiting, but at a close range. All the lakes of Kashmir pride themselves on their virgin like beauty. During the course of the trek, you will visit the famous lakes of Kashmir including Vishansar Lake, Gadsa Lake, Satsar Lake and Gangabal Twin Lakes. The Kashmir Great Lakes Trek will also take you past beautiful streams, meadows and forests dotted with pine trees. Ripchar Valley Trek is a favorite with the tourists. The prime reasons behind the popularity of the trek is the magnificent views it offers of the Ladakhi landscape. The trek takes you across spectacular mountain ranges including Zanskar, Karakoram and other ranges which form a part of the Himalayas. You also cross several small villages along the way, lush pastures and other sceneries that Ladakh is so famous for. The trek also takes you to the region of Chilling, renowned the world over for its production of copper. You should try the Lamayuru to Darcha Trek in Ladakh if you want to experience the cultural and spiritual side of it. What many people tend to forget is that Ladakh is rich not just in its topography, but also in its culture. The trail is dotted with several monasteries, visiting which can be a spiritually uplifting experience. Some of these monasteries include Lamayuru, Phugtal Monastery and Lingshet village. This trek is a favorite with trekkers looking to explore the spirituality of Ladakh. What makes the Lamayuru to Alchi Trek different from the other treks is the glimpse it provides of the lifestyle of the Indo-Tibetan people. You get a chance to explore the rich history of the region through the walls of the ancient monasteries of Ladakh as well as the scriptoriums. The major attractions of this trek are the Lamayuru Monastery followed by Prinkti La at 3,750m and the Alchi Monastery along with isolated small villages including Ursi and Mang-Gyu. The most difficult part of this trek, however, is the steep trail that leads to Tar La Pass at 5,250m after crossing Ursi village. Jhunglam Hemis to Padum Trekoffers you one of the most enthralling trails for trekking in Ladakh. 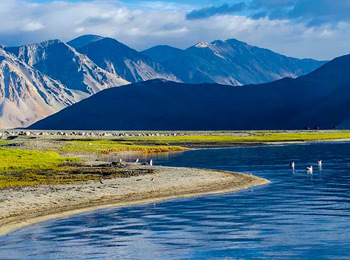 The trek covers the most beautiful places in Ladakh including the Markha Valley, Zangla Village and Zanskar Valley. You will also visit the renowned Hemis Monastery and see the beauty of villages like Chokdo and Chuskurmo. However, it should be remembered that the trail will require you to cross several rivers and constantly acclimatize due to the frequently changing altitudes. Certainly, this trek is not an easy one to undertake, however, the entire experience is worth it. You have always been fascinated with the Himalayas, right? If you want to enjoy the breathtaking views it provides at a close distance, then the Lamayuru to Stok Kangri Trek is for you. The best part about this trek is that it can be undertaken by both amateurs and experts alike. The Stok Kangri peak can be accessed from the Markha Valley. The trek takes you through several villages located at high altitudes as well as a part of Hemis National Park, where you might be lucky to spot a few animals. Can you imagine coming across the different topographies of Ladakh in just one trek? That’s what the Padum to Darcha Trek, one of the best treks to go in Ladakh, offers. It’s quite interesting to know that this trek is quite popular among the Europeans. The steepest point in the trek is the Shingo La which stands at 16,568ft. As for the special experience during the trek, that awaits you in the form of the Gombu Rangjom rock, where the yaks can be seen grazing in pastures full of wild flowers. Oh, and the trek also covers a point which the Indians are emotionally attached to, Kargil. 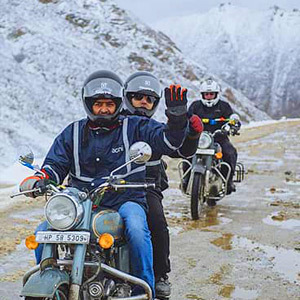 Before you decide to go trekking to these famous tourist destination in Ladakh, there are a few rules which you should be acquainted with. Trekking in the areas around Nubra Valley and Tso Moriri requires you to obtain an Inner Line Permit (ILP). This can be obtained from any travel agent in Leh and costs around INR 100-200. 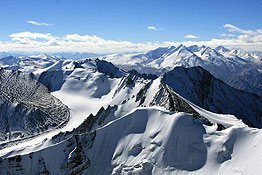 If you decide to go on the Stok Kangri Trek, you will have to obtain a permit from the Indian Mountaineering Foundation (IMF) at a price of around INR 2000. The office of the IMF is located near Chanspa Road in Leh. Trekking in the Hemis National Park also requires you to obtain a permit from the dhaba below Rumbak village. For Indians, this will cost around Rs. 20 while for foreigners, the cost will be around Rs. 100.